Ductile cast iron also known as nodular cast iron, spheroidal graphite iron or SG iron, and spherulitic cast iron. The ductile iron process was developed by The International Nickel Company in 1948. As the name ductile iron suggests this grade of cast iron has a degree of ductility. The main characteristic of this material is the structure of the graphite. Ductile iron is a family of cast graphitic irons which possess high strength, ductility and resistance to shock. Annealed cast ductile iron can be bent, twisted or deformed without fracturing. Its strength, toughness and ductility duplicate many grades of steel and far exceed those of standard gray irons. Yet it possesses the advantages of design flexibility and low cost casting procedures similar to gray iron. The difference between ductile iron and gray iron is in the graphite formation. Ordinary gray iron is characterized by a random flake graphite pattern in the metal. In ductile iron the addition of a few hundredths of 1 % of magnesium or cerium causes the graphite to form in small spheroids rather than flakes. These create fewer discontinuities in the structure of the metal and produce a stronger, more ductile iron. This nodular graphite structure inhibits the creation of linear cracks hence the ability to withstand distortion. 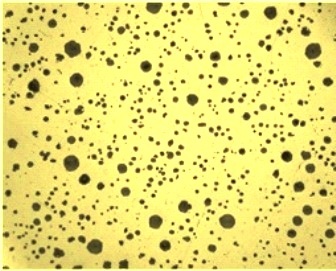 Fig 1 shows typical micro structure of ductile iron. With ductile iron, the safety and reliability of process equipment is improved. The improved mechanical properties increase its resistance to breakage from physical load, or mechanical and thermal shock far above that of gray iron. The corrosion resistance of ductile iron is equal or superior to gray cast iron and to cast steel in many corrosives. Its wear resistance is comparable to some of the best grades of steel and superior to gray iron in heavy load or impact load situations. Since it can be cast with the same low cost procedures used for gray cast iron, it is considerably less expensive than cast steel and only moderately more expensive than gray iron. The substantial advantages obtained from its high yield strength and ductility make it an economical choice for many applications. Ductile iron is not a single material, but a family of versatile cast irons exhibiting a wide range of properties which are obtained through microstructure control. The common feature that all ductile irons share is the roughly spherical shape of the graphite nodules. These nodules act as crack arresters and give ductile iron ductility and toughness which is superior to all other cast irons, and equal to many cast and forged steels. This feature is essential to the quality and consistency of ductile iron. With a high percentage of graphite nodules present in the structure, mechanical properties are determined by the ductile iron matrix. The importance of matrix in controlling mechanical properties is emphasized by the use of matrix names to designate the following types of ductile iron. Ferritic ductile iron – Graphite spheroids in a matrix of ferrite provides an iron with good ductility and impact resistance and with a tensile and yield strength equivalent to low carbon steel. Ferritic ductile iron can be produced ‘as-cast’ but may be given an annealing heat treatment to assure maximum ductility and low temperature toughness. Ferritic pearlitic ductile iron – These are the most common grade of ductile irons and are normally produced in the ‘as cast’ condition. The graphite spheroids are in a matrix containing both ferrite and pearlite. Properties are intermediate between ferritic and pearlitic grades, with good machinability and low production costs. Pearlitic ductile iron – Graphite spheroids in a matrix of pearlite result in an iron with high strength, good wear resistance, and moderate ductility and impact resistance. Machinability is also superior to steels of comparable physical properties. The above three types of ductile iron are the most common and are usually used in the ‘as cast’ condition, but ductile iron can be also be alloyed and/or heat treated to provide the following grades for a wide variety of additional applications. Martensitic ductile iron – Using sufficient alloy additions to prevent pearlite formation, and a quench-and-temper heat treatment produces this type of ductile iron. The resultant tempered martensite matrix develops very high strength and wear resistance but with lower levels of ductility and toughness. Bainitic ductile iron – This grade can be obtained through alloying and/or by heat treatment to produce a hard, wear resistant material. Austenitic ductile iron – Alloyed to produce an austenitic matrix, this ductile iron offers good corrosion and oxidation resistance, good magnetic properties, and good strength and dimensional stability at elevated temperatures. The tensile properties of conventional ductile Iron, especially the yield and tensile strengths and elongation, have traditionally been the most widely quoted and applied determinants of mechanical behaviour. Most of the world wide specifications for ductile iron describe properties of the different grades of ductile Iron primarily by their respective yield and tensile strengths and elongation. Hardness values, usually offered as additional information, and impact properties, specified only for certain ferritic grades, complete most specifications. Modulus of elasticity and proportional limit of ductile iron are also vital design criteria. Modulus of elasticity – Ductile iron exhibits a proportional or elastic stress-strain relationship similar to that of steel but which is limited by the gradual onset of plastic deformation. The Modulus of elasticity for ductile iron, measured in tension, varies from 62 – 170 GPa. The dynamic elastic modulus (DEM), the high frequency limit of the modulus of elasticity measured by the resonant frequency test, exhibits a range 162 – 186 GPa. Poisson’s ratio – It is the ratio of lateral elastic strain to longitudinal elastic strain produced during a tensile test. It shows little variation in ductile iron. A commonly accepted value is 0.275. Proportional limit – The proportional limit is the maximum stress at which a material exhibits elastic behaviour. In ductile irons, which exhibit a gradual transition from elastic to plastic behaviour, the proportional limit is defined as the stress required for producing a deviation from elastic behaviour of 0.005 %. It is measured by the offset method used to measure the yield strength and may also be estimated from the yield strength. The ratio of proportional limit to 0.2 % yield strength is typically 0.71 for ferritic grades, decreasing to 0.56 for pearlitic and tempered martensitic grades. Yield strength – The yield strength, or proof stress is the stress at which a material begins to exhibit significant plastic deformation. For ductile iron the offset method is used in which the yield strength is measured at a specified deviation from the linear relationship between stress and strain. This deviation, usually 0.2 %, is included in the definition of yield strength or proof stress in international specifications. Yield strengths for ductile iron typically range from 275 MPa for ferritic grades to over 620 MPa for martensitic grades. Tensile strength – The tensile strength is the maximum load in tension which a material will withstand prior to fracture. Tensile strengths for conventional ductile irons generally range 414 MPa for ferritic grades to over 1380 MPa for martensitic grades. Elongation – It is defined as the permanent increase in length, expressed as a percentage of a specified gage length marked in a tensile test bar, which is produced when the bar is tested to failure. Ferritic ductile Irons can exhibit elongation of over 25 %. Austempered ductile irons exhibit the best combination of strength and elongation. Hardness – The hardness of ductile iron is usually and best measured by the Brinell test, in which a 10 mm diameter hardened steel or tungsten carbide ball is pressed into a flat surface of the work piece. Brinell hardness is included in many ductile iron specifications. Brinell hardness should be used for production control and as an auxiliary property test. Micro hardness testing, using either the Knoop or Vickers indenters, is used to measure the hardness of the individual components of the ductile iron matrix. Impact resistance – All ductile irons have good impact resistance. Impact resistance depends on the degree of ferritization in the microstructure. Ductile iron which is fully ferritic has high impact resistance. Density – The generally accepted value for the room temperature density of ductile iron is 7.1 g/cc. Density is affected primarily by the percentage of graphitized carbon, with densities varying from 6.8 g/cc to 7.4 g/cc for high carbon ferritic and low carbon pearlitic irons respectively. Thermal expansion – The coefficient of linear thermal expansion of ductile iron depends primarily on microstructure, although it is influenced to a minor extent by temperature and graphite structure. In unalloyed ductile irons, composition has only a slight influence on thermal expansion, but alloyed austenitic ductile irons can exhibit significantly different expansion behaviour. Heat resistance – The high temperature strength of ductile iron is roughly comparable to ordinary cast steel at 430 deg C. It has stress rupture strength of 210-240 MPa after 100 hours at 430 deg C.
Thermal conductivity – The thermal and electrical conductivity of gray and ductile irons are influenced strongly by graphite morphology. The conductivity is higher in gray iron because of the semi-continuous nature of the graphite flakes. Because of the influence of flake graphite on the conductivity, the volume fraction of graphite plays an important role in gray iron, but not in ductile iron. In addition to graphite shape, microstructure, composition, and temperature also influence thermal conductivity. Ferritic ductile irons have a higher thermal conductivity than pearlitic grades, and quenched and tempered irons have values between those of ferritic and pearlitic irons. In the range 20-500deg C, the thermal conductivity of ferritic grades is 36 W/m o K. Conductivity for pearlitic grades over the same temperature range is approximately 20 per cent less. Electrical resistivity – Ductile irons, with discontinuous spherical graphite, have lower electrical resistivity than gray irons which have semi-continuous flake graphite. The primary elements effecting resistivity are silicon and nickel, both of which increase resistivity. Magnetic properties – The magnetic properties of ductile irons are determined mainly by their microstructures. The spheroidal shape of the graphite particles in ductile irons gives them higher induction and higher permeability than gray irons with a similar matrix. Ferritic ductile irons are magnetically softer than pearlitic grades. They have higher permeability and lower hysteresis loss. For maximum permeability and minimum hysteresis loss, ferritic, low phosphorus irons are used. Specific heat – It is the amount of energy required to increase the temperature of a unit mass of a body by one degree, generally increases with temperature, reaching a maximum whenever a phase transformation occurs. For unalloyed ductile iron, the specific heat varies with temperature. Wear resistance – Service data indicate that the wear resistance of ductile iron is equivalent to some of the best grades of cast gray iron. This has been demonstrated by in-service performance of equipment such as cylinder liners, crankshafts, metal working rolls, dies and gears. Corrosion resistance – The corrosion resistance of ductile iron is equal or superior to cast steel where either is regularly used. In some applications it demonstrates a useful advantage over cast steel such as in neutral to alkaline brines. Ductile iron is also extensively used for handling concentrated sulfuric acid, caustic solutions, steam condensate and a wide variety of organic liquids. Nodularity plays a significant role in determining properties within the ductile iron family. Nodularity and the morphology of the non-spherical particles exert a strong influence on the yield and tensile strengths of ductile iron. When nodularity is decreased by reducing the amount of residual magnesium (Mg) the nodules become elongated, but do not become sharp or ‘spiky’. The result is a 10 % decrease in yield strength and a 15 % decrease in tensile strength when nodularity is reduced to 30 %. Small additions of lead (Pb) reduce nodularity by producing intergranular networks of ‘spiky’ or plate-like graphite which result in dramatic reductions in tensile properties. The effect of nodularity on pearlitic ductile irons reveals two important features. First, compared to the Mg controlled loss of nodularity for the ferritic iron, the pearlitic iron is much more sensitive to reduced nodularity. Second, at low carbide levels typical of good quality ductile iron, there is relatively little loss of strength as the nodularity decreases to 70 % but as nodularity deteriorates further, strength decreases more rapidly. Both Mg and Pb losses in nodularity reduce the difference between the yield and tensile stresses, indicating that loss of nodularity results in reduced elongation. The decrease in tensile strength produced by lead control indicates that formation of spiky, intercellular graphite severely embrittle ductile iron. Nodule count, expressed as the number of graphite nodules/sq mm, also influences the mechanical properties of ductile iron, although not as strongly and directly as graphite shape. Generally, high nodule count indicates good metallurgical quality, but there is an optimum range of nodule count for each section size of casting, and nodule counts in excess of this range may result in a degradation of properties. Nodule count per se does not strongly affect tensile properties, but it has the following effects on microstructure, which can significantly influence properties. Nodule count influences the pearlite content of as cast ductile iron. Increasing the nodule count decreases the pearlite content, decreasing strength and increasing elongation. Nodule count affects carbide content. Increasing the nodule count improves tensile strength, ductility and machinability by reducing the volume fractions of chill carbides, segregation carbides, and carbides associated with ‘inverse chill’. Nodule count affects graphite size and shape. Increasing nodule count results in a decrease in nodule size which improves tensile, fatigue and fracture properties. Inoculation practices used to improve nodule count often make the nodules more spherical. Thus, high nodule count is generally associated with improved nodularity. The fatigue strength of a material is normally defined by quoting its fatigue limit, also called the endurance limit. The fatigue limit is the magnitude of the cyclic stress at which the fatigue life exceeds a specified number of cycles, usually 106 or 107. The fatigue strength of a material is related to its tensile strength by the endurance ratio – the ratio of fatigue limit to tensile strength. The effect of stress-raisers on the fatigue limit is defined by the notch sensitivity ratio, also known as the fatigue strength reduction factor. The notch sensitivity ratio is the ratio of unnotched fatigue limit to notched fatigue limit. The fatigue limit of a ductile iron component is influenced by different factors such as tensile strength, the size, shape and distribution of graphite nodules, the volume fractions of inclusions, carbides and dross, the quantity and location of porosity, the presence of stress-raisers, and the condition of the component surface. Notched and unnotched annealed ferritic ductile iron with a tensile strength of 454 MPa shows notched and unnotched fatigue limits of 117 MPa and 193 MPa respectively. This material has notch sensitivity factor of 1.65 and an endurance ratio of .43. The endurance ratio of ductile iron depends upon the tensile strength and matrix. The endurance ratios of ferritic and pearlitic grades are similar, decreasing from 0.5 to 0.4 with increasing strength within each grade. For tempered martensite matrices, the endurance ratio decreases from 0.5 at a tensile strength of 415 MPa to 0.3 at tensile strength of 1035 MPa. In ductile irons the notched fatigue limit varies very little over a wide range of nodularity, while the unnotched fatigue limit increases rapidly with nodularity, especially at very high nodularities. These results indicate that non-spherical graphite initiates fatigue failure in unnotched ductile iron, while in v-notched specimens, the crack initiates prematurely in the notch, overriding any effect of nodularity. At all levels of hardness, fatigue strength increases as nodule size decreases. However the effect of nodule size is most pronounced as hardness increases. Under bending and torsional fatigue conditions in which the cyclic stresses reach a maximum at the component surface, fatigue strength is reduced by the presence of inclusions, dross, and other surface defects which act as crack initiation sites. The influence of non-metallic inclusions on fatigue strength increases as matrix hardness increases. The following are the benefits of ductile iron. When compared against steel castings ductile Iron has a lower manufacturing cost. Ductile Iron has a lower casting temperature than steel and this allows for a superior surface finish and the ability to cast complex shapes incorporating changes of section. Ductile iron shows good ductility with elongation levels achieved over 25 % in some ferritic grades. Ductile iron is very easily machined and machining allowances are able to be kept to a minimum. Grades of ductile iron offer tensile strengths in the range of 414 MPa for ferritic grades to 1380 MPa in martensitic grades. Ductile iron castings weigh significantly lighter than the equivalent steel casting due to density, less machining allowance and the ability to cast to shape. The automotive industry has expressed its confidence in ductile Iron through the extensive use of this material in safety related components such as steering knuckles and brake calipers etc. One of the most critical applications of ductile iron is in containers for the storage and transportation of nuclear wastes. The use of ductile Iron nuclear waste container shows the ability of ductile iron to meet and surpass even the most critical qualification tests for materials performance. There are wide varieties of parts produced in ductile iron. The weight range of possible castings can be from less than 25 grams to more than 200 tons. Section size can be as small as 2 mm to more than 0.5 meter in thickness. The nodular graphite structure of ductile iron reduces discontinuities in the structure and prevents capillary leakage often encountered in gray cast irons. This, along with the fact that it is easily cast, makes ductile iron ideal for high pressure services.